Neurokernel's long-term development planning is conducted via the composition and revision of Requests for Comments, or RFCs. First employed in the development of the Internet, RFCs are publicly accessible design proposals for major new components or features of a complex computing system. A new version of an RFC can supersede previous versions if it contains significant differences that render the previous version obsolete. 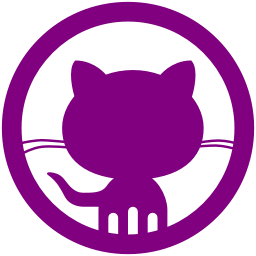 Anyone can write and submit a Neurokernel RFC for consideration; see this page on the project wiki for more information. A LATEX template for the Neurokernel RFC can be found here: nk_rfc.tex. Neurokernel's API documentation is available here. Demonstrations of how to use Neurokernel are available as notebooks for the IPython interactive computing environment. All notebooks can be downloaded as part of Neurokernel's source code. The notebooks below hosted in various branches of the source code (see the project Wiki for more information about each branch). Running Neurokernel on Amazon EC2 How to run Neurokernel on GPU instances of the Amazon Elastic Compute Cloud (Amazon EC2). An Amazon Machine Image is provided for ease of use. How to use Neurokernel's API Introduction to using Neurokernel's API. Mapping a Network of LPUs onto Multiple GPUs How to connect and execute several generic LPUs on multiple GPUs. Olfaction Model The response of a Drosophila antennal lobe circuit to a basic olfactory concentration stimulus. Vision Model The response of graded potential neurons of a Drosophila vision circuit to a basic visual input stimulus. Sensory Integration How to integrate Drosophila's olfactory and vision circuits into a multisensory coincidence detector. Interfacing Retina and Lamina LPUs How to interface a retina LPU and a lamina LPU using Neurokernel's API. All the references associated with Neurokernel development are listed on BibSonomy.